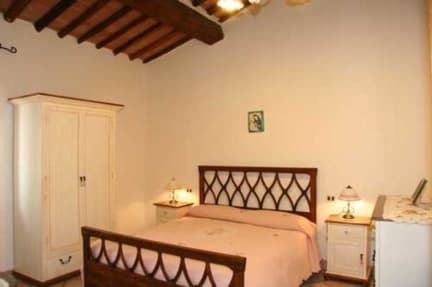 'Welcome Bed and Breakfast, a typical Tuscan farmhouse built in 1800,at only 15 minutes walking from the train station, has been recently renovated in respect of the antique building, and is situated near the Congress Building, at only 10 minutes on foot from the historical centre of Pisa and its cultural sites (Leaning Tower 20 min. on foot). 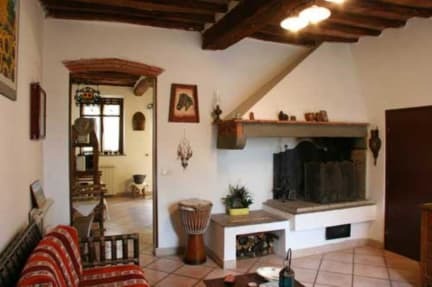 This is a typical Tuscan farmhouse dating back to 1800, just a 15 minutes walk from the train station. It has been recently refurbished and is located near the Congress Building, only 10 minutes walk from the historical centre of Pisa and its cultural sites. Here you can find Italian warmth and family atmosphere to help you get the most from your stay. Easily reachable from the Railway Station (15 minutes walking ), from the International Airport (20 minutes walking) and from Cisanello and S.Chiara Hospital (1 km), the 'Welcome Bed and Breakfast' offers its guests big and bright rooms with bathrooms furnished in good taste, and private car park and garden. In Welcome Bed And Breakfast you can find Italian warmth and family atmosphere to help you get the most from your stay. Bar restaurant market shopping center natural park with cycle-lane. You must advise about arrival time.